ARA’s issues reflect the four key areas of our Water Agenda that Alabama can improve in order to ensure the health of our waterways for generations to come. 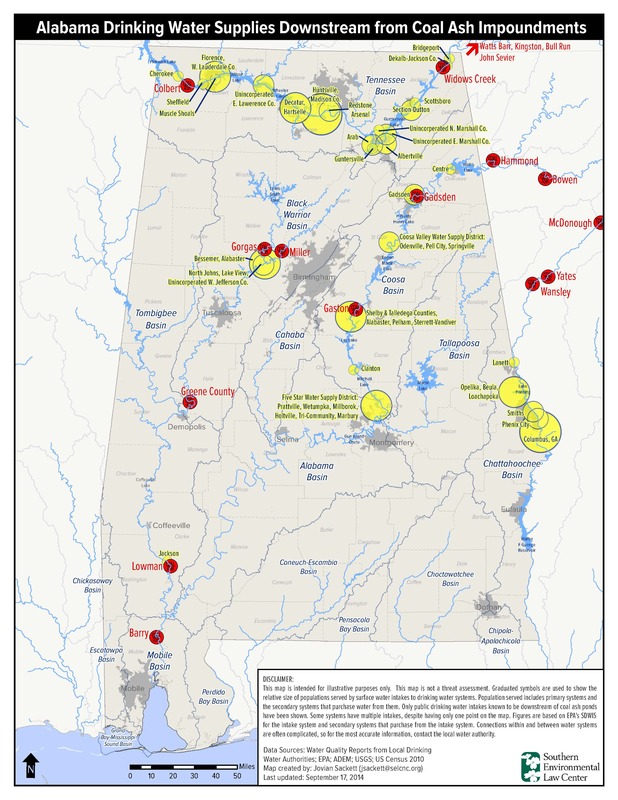 Click the image to view the Alabama Water Agenda. Why should you care about coal ash? Coal ash, the waste left over after coal is burned to generate power, contains concentrated amounts of heavy metals such as lead, mercury, arsenic, chromium, and selenium, which are hazardous to human health, and to wildlife. Coal ash contains arsenic, lead, mercury, chromium, and a range of harmful heavy metals and toxic pollutants that poison the air and drinking water supplies of communities living near coal ash dumpsites. Coal ash threatens the respiratory, cardiovascular, and neurological systems of people living near more than 1400 dump sites across the nation. Alabama drinking water supplies downstream from coal ash impoundments. Click to see bigger. Coal ash disasters have been plaguing communities living near poisonous and dangerous dump sites – from the 2008 disaster in Tennessee, when a billion gallons of toxic sludge poured onto farmland and into the Emory and Clinch rivers, to the recent failure along North Carolina’s Dan River, when a burst stormwater pipe underneath an unlined coal ash pit dumped 140,000 tons of coal ash and toxic wastewater into the river – the problem with coal ash pollution is getting worse and more dangerous every day. Over 1.5 million children live near coal ash storage sites and 70 percent of all coal ash lagoons disproportionately impact low-income communities. When coal ash comes in contact with water, a toxic soup of hazardous pollutants can leach out of the waste and poison our water. The EPA has found some coal ash ponds pose a 1 in 50 risk of cancer to residents drinking arsenic-contaminated water – a risk 2000 times higher than EPA’s regulatory goal. The vast majority of states do not require adequate monitoring or liners to stop the release of toxic chemicals, nor do they ensure that massive earthen dams are maintained safely. States have routinely failed to protect their citizens from coal ash – as was evident in North Carolina’s recent handling of the Dan River coal ash spill. What is the Alabama Rivers Alliance doing about coal ash? The Alabama Rivers Alliance is working on the ground with partners who are fighting to protect their communities from toxic coal ash, such as the Southern Environmental Law Center, Black Warrior Riverkeeper, Coosa Riverkeeper, Mobile Baykeeper and Tennessee Riverkeeper. We also advocate sound regulations of coal ash that are protective of human and environmental health, and for Alabama’s implementation of the federal policies that do exist. 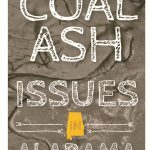 Download our brochure addressing coal ash issues in Alabama created by the Alabama Rivers Alliance and partners. 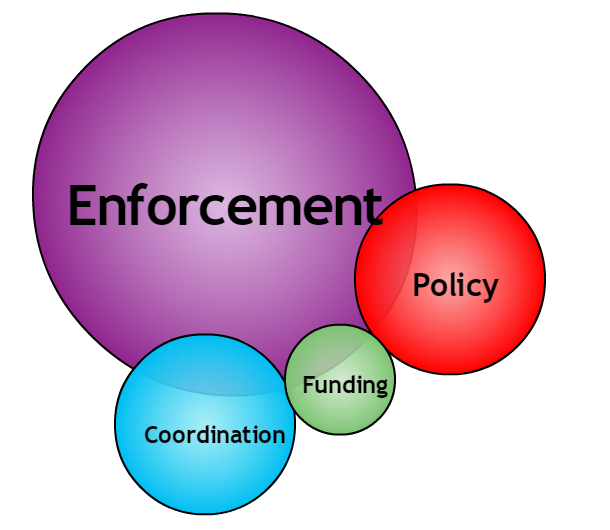 Citizens – Citizens must remain engaged in the issue to advocate for better regulation at all levels of government and to ensure that industry is complying with existing laws. Federal Government – The Environmental Protection Agency must improve existing and develop additional regulations to include the required cleanup of legacy sites and the end of wet coal ash disposal. State Government – The Environmental Management Commission must ensure that state regulations for coal ash storage and coal ash discharge permits are protective of water quality and human health and that discharge permits are kept up to date to ensure ongoing protections. Industry – The industries that generate coal ash, such as Alabama Power Company and the Tennessee Valley Authority, must comply with state and federal regulations. 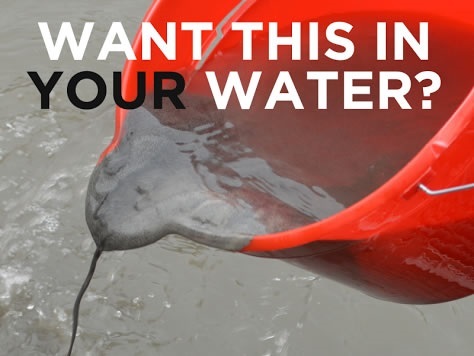 Contact your legislator and let them know you support the strongest coal ash regulations. Sign up for emails from ARA to stay up-to-date on coal ash issues in Alabama. Cindy is the executive director of the Alabama Rivers Alliance. She joined the staff in 2005 as Watershed Leadership Coordinator and was promoted to Executive Director in 2007. A native of Alabama, Cindy was born and raised in Oneonta, Alabama. She received her BS degree in Wildlife Science from Auburn University and her Masters of Public Administration from the University of Alabama at Birmingham. The focus of her masters’ thesis was citizen participation in public policy. Cindy has more than 15 years of experience in the conservation nonprofit sector. 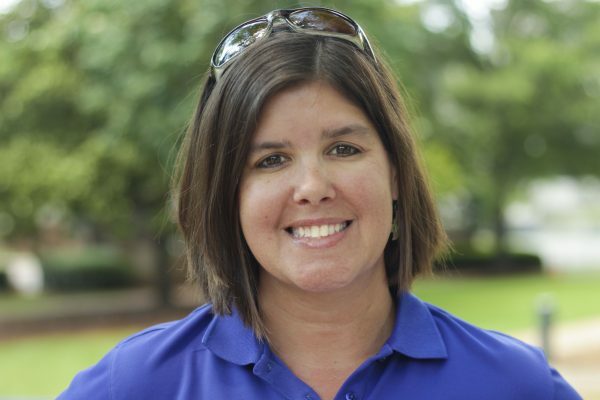 She joined the staff of the Alabama Rivers Alliance in 2005 and was promoted to executive director in 2007. Cindy has been recognized as a “Wonderful Outstanding Woman” from the Metro Birmingham branch of the NAACP (2012), named one of the “Women Who Shape the State” by al.com (2016) and awarded an Auburn University Alumni Spirit of Sustainability Award (2017). Cindy is the former President of the Board of Directors for Alabama Arise and has been a long-time member of the Board of Directors for the Friends of the Locust Fork River. Curt Chaffin joined the Alabama Rivers Alliance as the Policy Director at the beginning of 2018. With a degree in Political Science from Emory University, Curt earned his J.D. from Vanderbilt University in May 2018. He has political experience with the federal government and in local and federal elections, as well as with multiple environmental organizations. A registered lobbyist, he uses his experiences and legal training to advocate for Alabama’s waters. Curt is relatively new to Birmingham, originally growing up in the Tallapoosa River watershed near the Alabama-Georgia line. He has early memories of paddling and hiking around the Southeast, crediting those experiences for creating his deep respect for nature and his enduring desire to protect it. 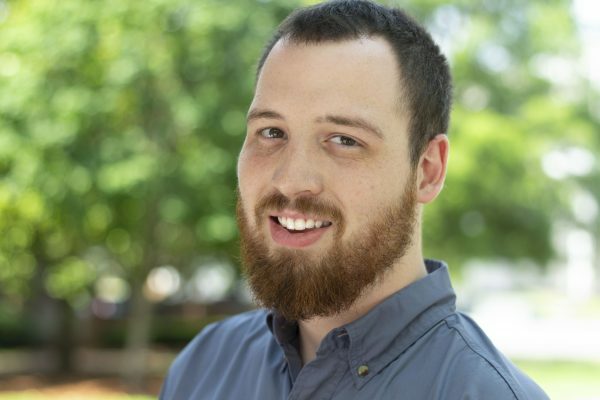 When he can get out from behind his desk, he explores the state’s rivers and trails and enjoys photographing the countless beautiful landscapes in Alabama.